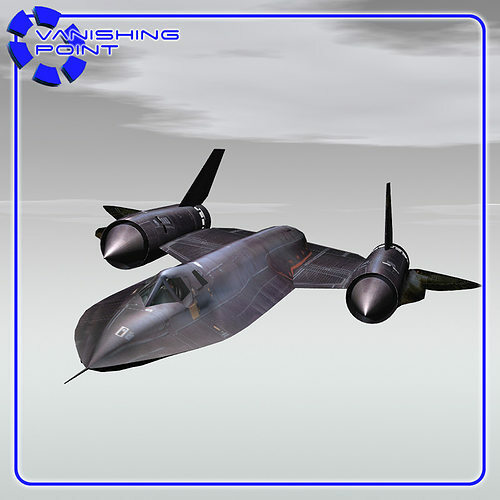 The SR-71 was the world's fastest and highest-flying operational manned aircraft throughout its career. On 28 July 1976, an SR-71 broke the world record for its class: an absolute altitude record of 85,069 feet (25,929 m). Several aircraft exceeded this altitude in zoom climbs but not in sustained flight. That same day SR-71, serial number 61-7958 set an absolute speed record of 1,905.81 knots (2,193.2 mph; 3,529.6 km/h). For comparison, typical commercial flights fly at an altitude of around 35,000 to 38,000 feet. The SR-71 also holds the Speed Over a Recognized Course record for flying from New York to London, a distance of 5,645 kilometres (3,508 mi), at 1,435.587 miles per hour (2,310.353 km/h), and an elapsed time of 1 hour 54 minutes and 56.4 seconds, set on 1 September 1974. For comparison, the best commercial Concorde flight time was 2 hours 52 minutes, and a typical flight on a 747 averages 6 hours 15 minutes. Developed for the USAF as reconnaissance aircraft more than 30 years ago, SR-71s are still the world's fastest and highest-flying production aircraft. The aircraft can fly more than 2200 mph (Mach 3+ or more than three times the speed of sound) and at altitudes of over 85,000 feet. For its reconnaissance mission, the aircraft was outfitted with an advanced synthetic aperture radar system [ASARS-I], an optical bar camera and a technical objective camera wet film system. All were once part of the aircraft's original equipment. The airframes are built almost entirely of titanium and titanium alloys to withstand heat generated by sustained Mach 3 flight. The aircraft's largely titanium structure is coated with a special radar-absorbing black paint that also helps dissipate the intense frictional heat resulting from flight through the atmosphere at faster than three times the speed of sound. It also gives the plane its distinctive Blackbird nickname. Aerodynamic control surfaces consist of all-moving vertical tail surfaces above each engine nacelle, ailerons on the outer wings, and elevators on the trailing edges between the engine exhaust nozzles. Although most news reports characterize the SR-71 aircraft as `radar evading', in point of fact, however, the SR-71 was one of the largest radar targets ever detected on the FAA's long-range radars. The FAA was able to track it at ranges of several hundred miles. The explanation offered was that the radars were detecting the exhaust plume. The pivot points on most of the major parts have been set so you can easily rotate them into position. * NASA1: with a yellow stripe and black logo on the tail rudders. * NASA2: with a white stripe and red logo on the tail rudders. * Skunk: a skunk insignia on the tail rudders. * Detailed texture maps for the instrumentation panels.